Building With Sam | Miguelito's Little Green Car. We are all connected. Born and raised in Edmonton, Sam Jenkins loves this city. And more than anything, he loves when people build stuff, here in Edmonton. He’s an entrepreneur, working in technology, and is a partner in a technology development firm, among a few other ventures. 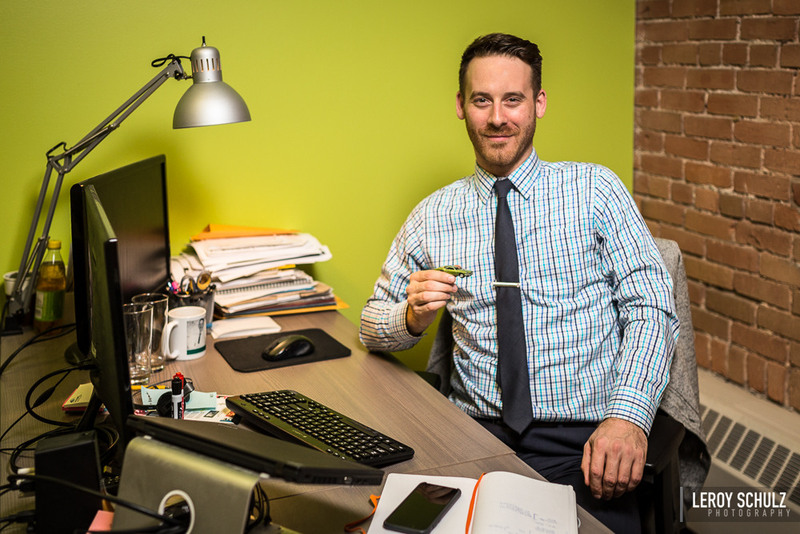 By night, he gives of his time on a few different fronts, as a member of the board of directors of the Edmonton Symphony Orchestra and the Francis Winspear Centre for Music, and previously, as one of the co-founders of Startup Edmonton, and the past-chair of the Edmonton International Fringe Theatre Festival. He can play the violin, the guitar, the bass, and a few different saxophones. Not well, but they are in his repertoire. He loves to wear corduroy pants. His favourite book is the Hitchhiker’s Guide to the Galaxy, even though he still doesn’t get some of the jokes. Sam is not a morning person. In 2016, he led the organization of the Edmonton edition of Lawn Summer Nights, a lawn bowling fundraiser for Cystic Fibrosis Canada. He had yet to play a game of lawn bowling.